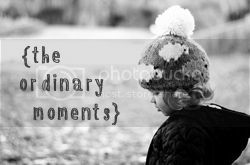 This is my first time joining the ordinary moments linky with Mummy Daddy Me. I love the idea of capturing the everyday events that make up our lives that would otherwise be forgotten. Hopefully I’ll manage to join in most weeks. This week, S had booked a day off work on Monday. We went to The Living Rainforest in Berkshire. We had taken T there on his first birthday and bought a ticket which would last us a year, so hopefully we’ll be going back a few more times. It’s amazing to see how much he’s changed over the last 3 months. The most obvious difference is he is walking now, which is great as we just let him explore and make discoveries instead of carrying him or trying to show him things from the buggy. Another difference is that he is so much more confident now. On his birthday he was still afraid of most animals; if anything moved that he wasn’t expecting he would be absolutely terrified and scream, clinging to us, shaking (although he was much better than he had been a few months previously). Now, although he was a little unsure of the animals at first, soon he was toddling about, pointing at the birds and lizard that were freely running around. Just an ordinary day out, but a reminder of just how quickly my boy changes and why I need to continue taking photos and writing this blog to freeze time and capture these special moments before he’s changed again and the opportunity is gone. wow what an incredible place – it looks like you had a fantastic day out and lovely to mark the changes in your wee boy against somewhere so pretty! This place looks lovely!! I wonder if there’s anything like this near me. Will have to have a look, wouldn’t have even thought about something like this! It was a lovely day out. There are some animals in enclosures, but I love that you can find the animals that are freely wandering around too (although we haven’t managed to spot the sloth on either of our visits! ).